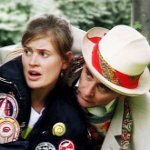 England, 1999: the Doctor and Mel have come to London to celebrate the new year with old friends — and to heal old wounds. But others are making more sinister preparations to usher in the new millennium. A software house is about to run a program that will change the fabric of reality. And an entity older than the universe is soon to be reborn. When Anne Travers' fear of the great Intelligence and millionaire philanthropist Ashley Chapel's secret researches combine, London is transformed into a dark and twisted mirror image populated by demons and sorcerers. Only the Doctor can put things right, but his friends have also been shockingly changed and he cannot trust anybody — least of all himself. 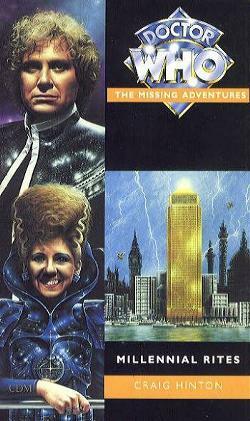 This adventure takes place between the television stories The Trial of a Time Lord and Time and the Rani. Craig Hinton is the author of the Missing Adventure The Crystal Bucephalus, and hopes that Millennial Rites is easier to spell. When he isn't reading X-Men comics, he occasionally cobbles together the odd column for Doctor Who Magazine and TV Zone.